The original market was created by Kristian Graaten. Kris and his wife, Solveig, emigrated with their children to Vancouver Island from Norway in the 1950s. 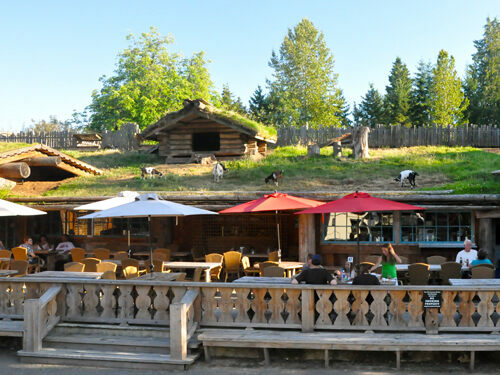 Kris, who grew up in the small community of Lillehammer, was inspired to include a sod roof in his design of the market. Many Norwegian homes and farm structures are built directly into the hillside with the sod roof becoming an extension of the hillside. 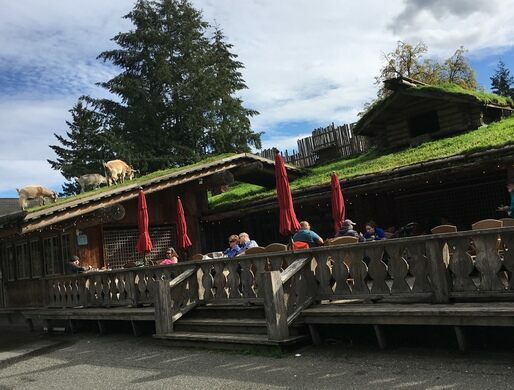 With the help of sons, Svein and Andy, and son-in-law Larry, Kris unwittingly began to build what would become perhaps the most famous sod-roof building in all of Canada. On the weekend of the Coombs Fall Fair, the grass was getting rather long. 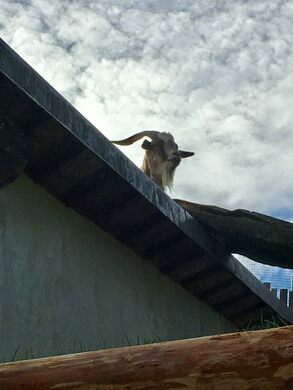 Legend has it that, after a few glasses of wine, Larry suggested that they ‘borrow’ some goats to ‘mow’ the grass and perhaps provide some entertainment for passing cars. Needless to say, the goats became permanent tenants of the Coombs market that weekend and have been there for more than thirty years. 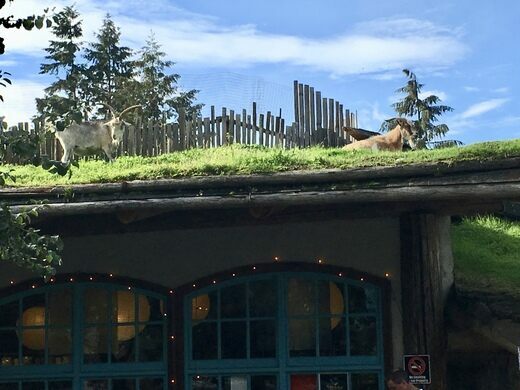 Each spring, a family of goats make their home on the roof, entertaining both locals and visitors from all over the world. Take hwy 19 north 32kms; turn off exit 51 (hwy 4a) at Parksville for 6kms; turn left when you see the green green grass of Coombs; the market is on the gateway to the west coast of Canada.